It hasn’t exactly been a secret that Avatar: The Last Airbender is one of my favorite shows of all time. It’s a mass of contradictions. An American cartoon – in an anime style. A kids’ show – featuring revenge, honor, Eastern philosophy, and political intrigue. An epic journey – squeezed into 22-minute increments. A colossal battle of good and evil – with bright colors and funny jokes. When it ended, fans wanted exactly one thing: MORE. And starting in 2012, they got it. The Legend of Korra is a sequel series to Avatar, set seventy-ish years later in the same universe. As before, certain people can “bend” (manipulate) the four classical elements, earth, air, fire, and water. Most can bend only one, but the Avatar commands all four, and has some other pretty intense mojo to boot. The first show’s Avatar, Aang, has died, and the new one – Korra – has inherited the mantle of saving the world, keeping peace where she can, drop-kicking bad guys when necessary. Korra has the same creators, the same premise, the same universe, the same style, even some of the same characters. But does it work? Betsy and I – who watched both shows together – got to the Korra finale a couple weeks ago. The verdict is yes, it works…and no, it doesn’t. The animation in Korra is much, much better than it was in Avatar. 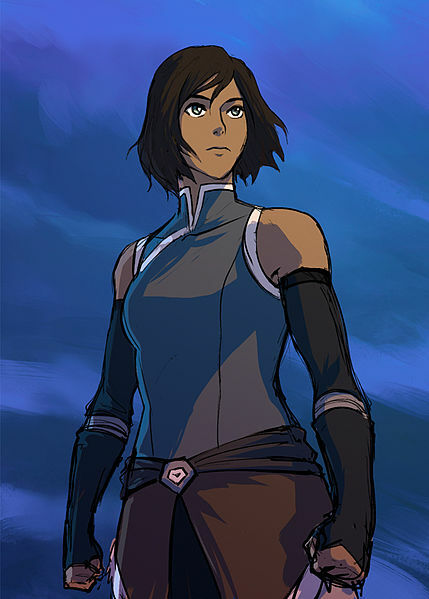 Not that Avatar‘s art was bad or anything, but Korra is simply gorgeous. The characters, the environments, the “special effects”…if they got a bigger budget (as I assume they did), they certainly knew how to use it. The music is great. Not as memorable as Avatar, in my opinion, but still beautiful. Most of the stuff that was cool in Avatar is still cool now. The bending, the Avatar State, the landscape and architecture design, the meticulous attention to detail, etc. And it’s cool to see what finally happened to characters you cared about (Aang, Zuko, Cabbage Guy) and how certain places have changed (mainly the Earth Kingdom). The in-universe technology has advanced a lot since Avatar, and I give them props for keeping things fresh. The weaving of machinery and “magic” is well-executed. In the first couple seasons, Korra just isn’t very likable. I know this was deliberate, as she needed room to grow emotionally (and she does), but that doesn’t make it any easier to watch. There’s something wrong with the dialogue delivery, too. Not with the voice actors – they do a great job. I think the pauses between lines are a bit too long. I know that sounds like nitpicking, but it really drives me crazy. Hate to say it, but Korra isn’t as funny as Avatar. The humor style is the same, but the jokes aren’t as good. I just don’t connect with the characters. Not like before. That last one is the biggest problem by far. Don’t get me wrong – I like Korra, Bolin, Asami, Tenzin, even (I suppose) Mako. But who in Korra is as funny as Sokka? As purebred awesome as Toph? As wise as Iroh? As terrifying as Azula? And when the old characters do show up in Korra, they’re ghosts of their former selves. Zuko is passive, Iroh is a mere caricature, and Toph has gone from smartass-and-cool to just plain, annoying smartass. Only Aang retains any of his former glory. I get that the writers can’t have old characters monopolizing the show, but that doesn’t mean they have to be cardboard cutouts. But for every great episode, there are four more that are just okay. And then there are the villains. I salute the creators for writing villains with complex, realistic motives, beyond the basic Ozai-style “I WILL DESTROY TEH WORLD.” The problem is, it never really works. Amon starts off intriguing, as it seems like he might actually have some moral high ground…but then it turns out it’s all lies, and they just have a big fight. Unalaq becomes a Dark Avatar, which is an intriguing idea…but it turns into a spirit-fueled slugfest with no real deeper meaning. Zaheer – the best of the bunch in my opinion – just didn’t connect with me for some reason. And Kuvira’s basically a generic dictator. Which leads me to the series finale. In a technical sense it was great. Lots of well-orchestrated action, heroic sacrifice, “emotional” moments, lessons learned. The problem was, I didn’t care about any of it. When Sokka, Suki, and Toph took down the airship fleet, it wasn’t about the explosions. It was about Toph, hanging on for dear life to Sokka, the only real family she’s ever had – her tough veneer stripped away, not a cocky show-off anymore, just a twelve-year-old girl who doesn’t want to die. When Aang fought Ozai, it wasn’t about the fireworks. It was about Aang’s ethical struggle, his determination not to kill the Firelord, no matter what the cost. And it was about him finally claiming his birthright, finally becoming a full-fledged Avatar. He wasn’t just a fighter anymore; he was a force of nature. But he never lost his compassion. By contrast, when Korra fought Kuvira, it was mostly about the logistics of taking down a giant mech. Yes, there was some sense of Korra trying to redeem herself, and yes, they tried to play up the similarities between hero and villain. But mostly, it felt like empty action. Anyway – I’ve rambled on way longer than I ever intended, so I’ll wrap it up. Overall, in spite of all its flaws, I did enjoy Korra, I’m glad it exists, and I respect what they were trying to do. But for my money, it doesn’t hold a candle to Avatar. 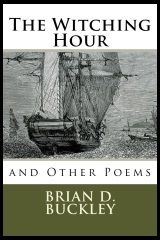 This entry was posted in Uncategorized and tagged Avatar, Postmortem. Bookmark the permalink. Awwww awwwww spoilers spoilers. I’ve only watched like a episodes of Korra. GET THIS, my friend Colleen has only seen Korra. And not the original and loves it. What to do? Can I still be friends with her if she prefers Korra? Absolutely not. Get her to watch Avatar and make it clear that your friendship is on the line! I share many of the complaints you had. Do you think the season format had any influence on the negative points of the show? the original avatar was three seasons of 20 (21 for last season) episodes. this show was 4 seasons of 13 episodes. While this isn’t the only factor, I think that this influenced the sometimes barebones dialog and character development. I personally would have loved to have seen more development and backstory for Zaheer and the splitting of the White Lotus, Maybe more cameos. I also would have liked to have seen more of him in season 4… he pretty much played a ‘good guy’ in it and i think more of him may have been interesting. On the other hand, people may have complained that his storyline would be too much like Zuko if he did become a major player on the ‘good’ side. I’ve thought about the structure changes too (more seasons, shorter, self-contained arcs) and I’m not sure. They may have made an impact. But if you think about the total run time of a Korra season – about four and a half hours – that’s still longer than a typical movie, and certainly plenty of movies have good dialogue and good characterization. So, hard to say.